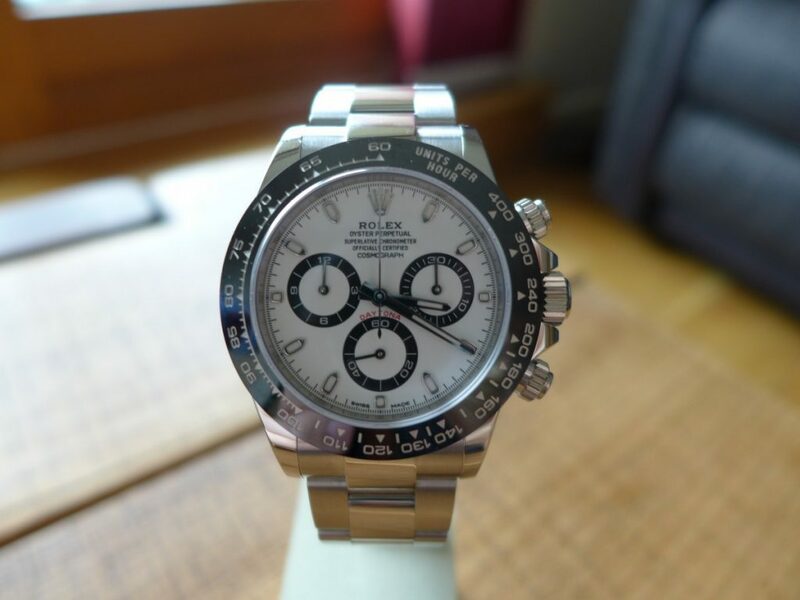 As the title says Rolex Daytona Cosmograph 116500LN White Panda dial probably the watch of 2016 from Rolex very much loved and anticipated by every collector worldwide. 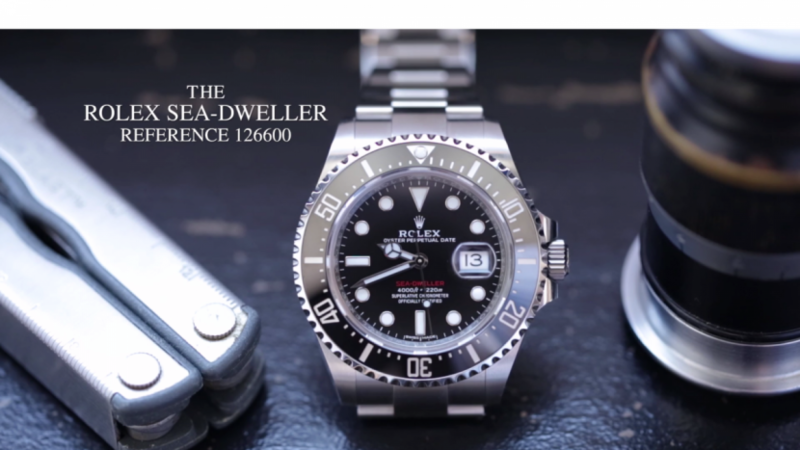 The frenzy started after the basel show 2016 where Rolex showed the piece off since then the waiting list become impossible to get on everywhere in the world with the original RRp of £8250 pre price increase. 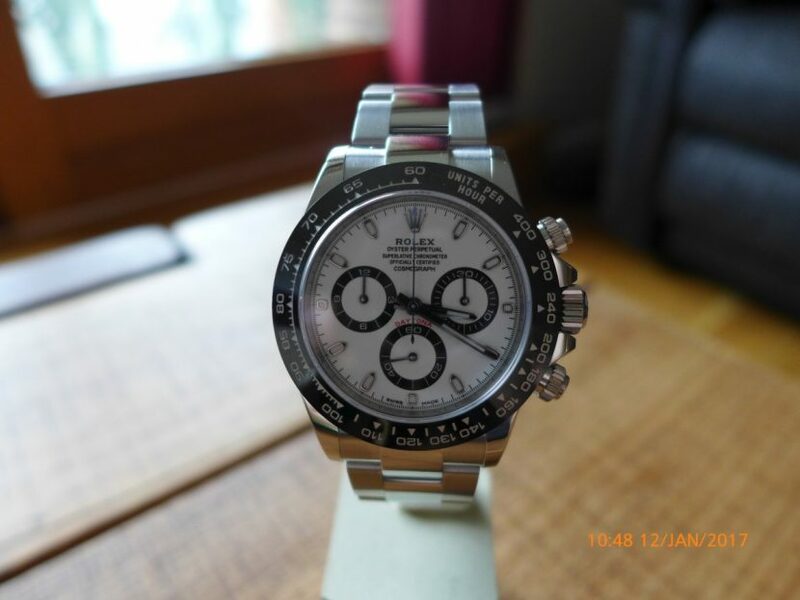 To add to that never you will never see one in a Rolex Authorized dealer anywhere. 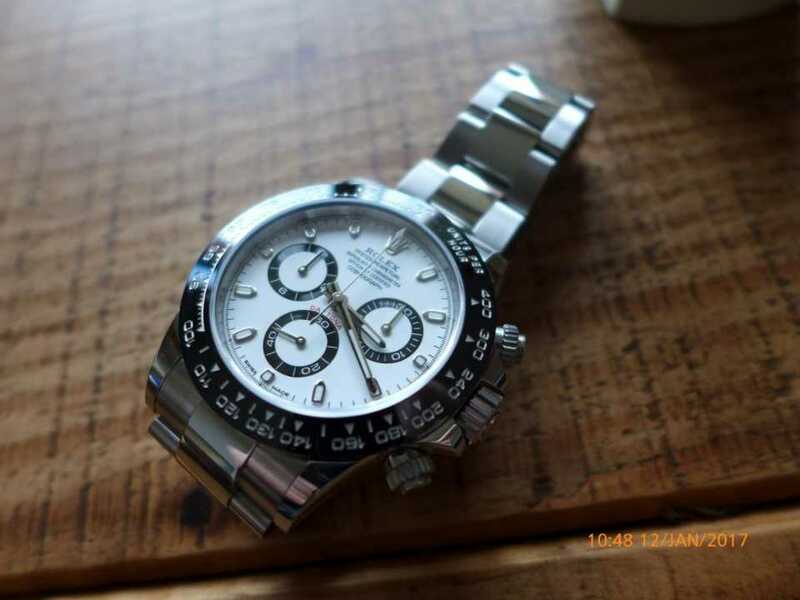 The watch is very similar to the older pre ceramic version which had stainless steel bezel with white dial and silver sub dials, the Rolex 500 (short for this model) has Cerachrom bezel in ceramic is the biggest change that is deeply loved and having a white dial with black subdials is a true Panda dial. Panda dial these days in any watch brand everyone wants!!! 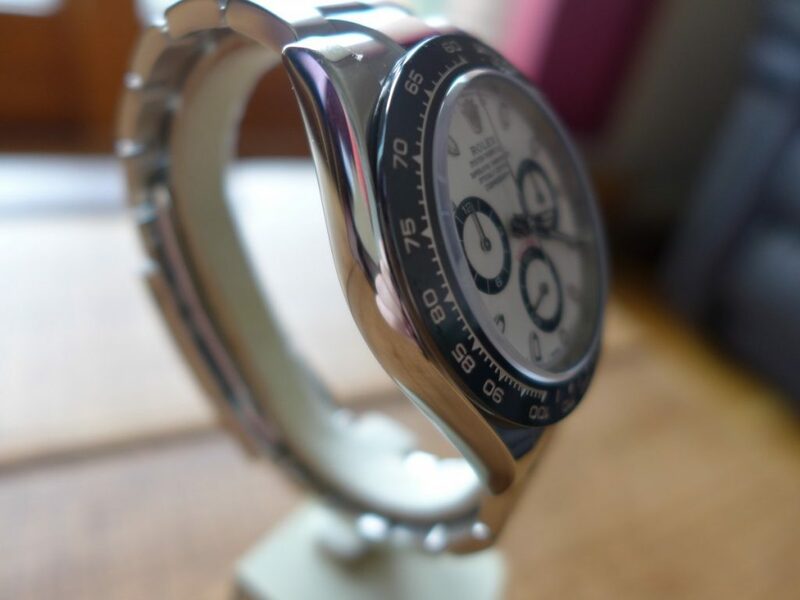 The bezel I totally get after having the older model it is very easy the scratch, the ceramic bezel a lot tougher to mark when you are very OCD about your watches as most collectors are. The Rolex Cosmograph was loved by various stars Paul Newman was a great fan and true ambassador to the cosmograph brand dating back to the 1970’s which probably gave the watch its collector status today. 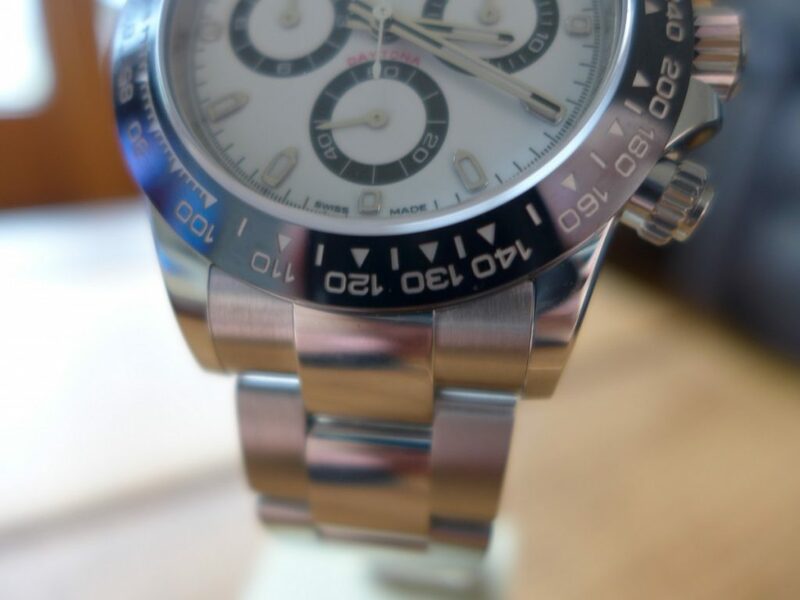 Paul Newman Daytonas are fetching over £100k these days not bad for a £300 £400 watch in the 70’s. But to be honest vintage market gone through the roof last few years anything matt dial of gilt is the way forward. 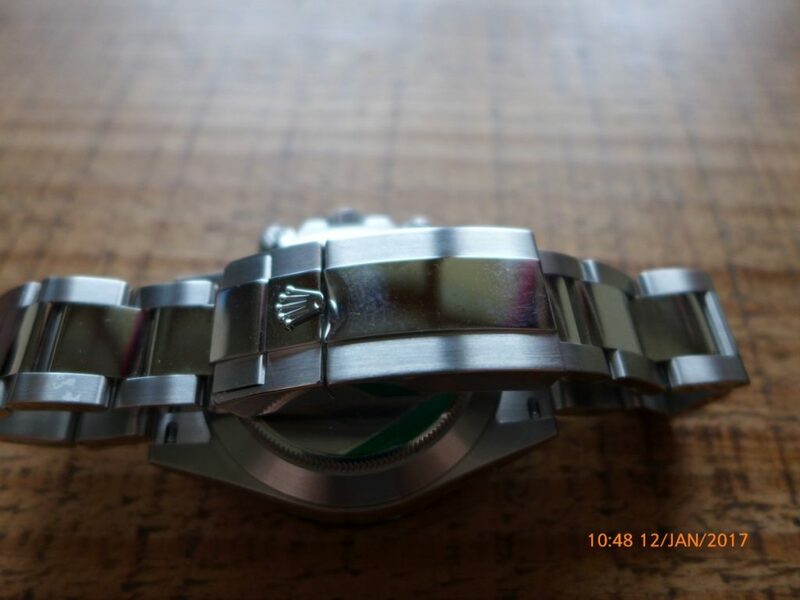 To be honest I really loved the watch but at the cost of well over RRp I was very underwhelmed with the watch to be honest once I got one, this may be down to all the hype and build up to getting the watch and wanting one so bad!! 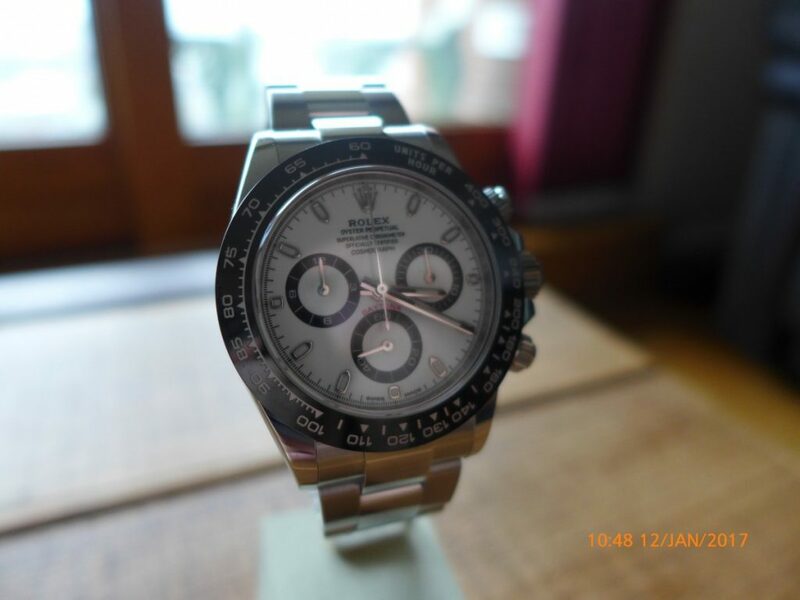 But as waiting lists are totally non existent on this model for the next 15 years you after pay the premium to own one unfortunately as being Daytona fan had to try one. The pictures do speak volumes. 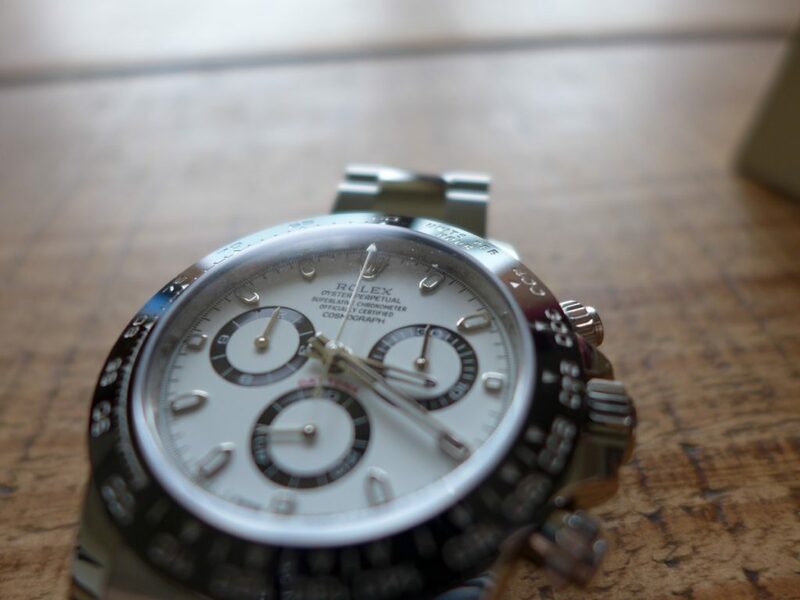 As the title says hands on with the new Rolex Daytona 116500LN Ceramic bezel or as Rolex say Cerachrom Bezel. 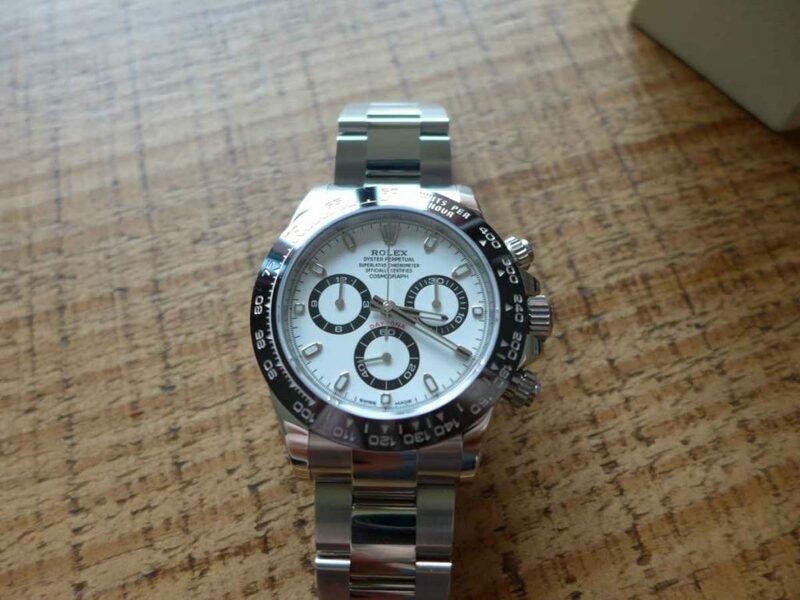 This watch becoming the hardest piece on the planet to own, it has become a phenomena with waiting lists at 5 years for the white dial and fetching over RRP money to buy shocking. 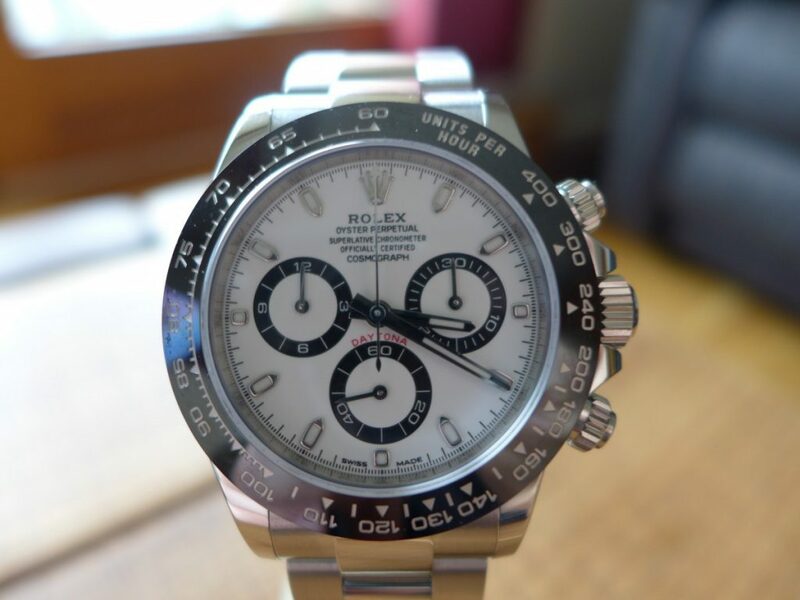 I would love to own one but proving difficult to own this beast, Watch Collectors everywhere want the New Daytona. 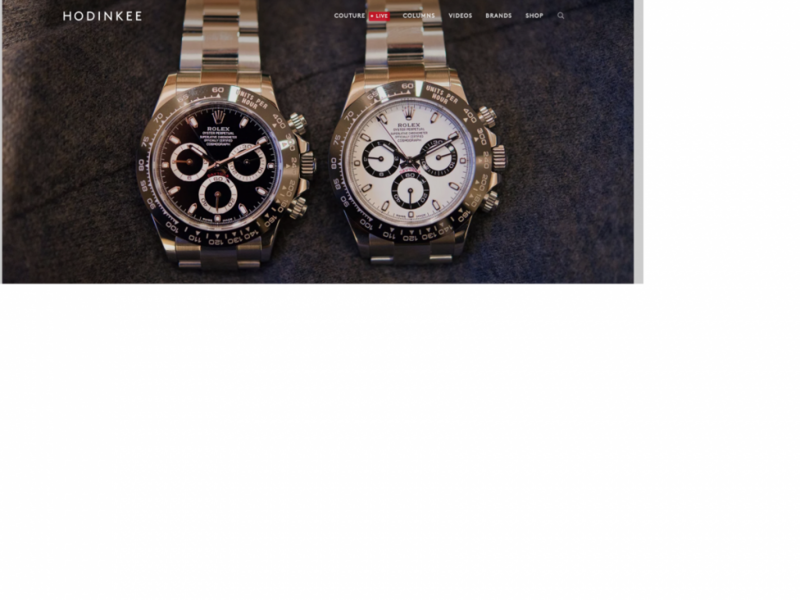 Click on the link below for a full review by Hodinkee. 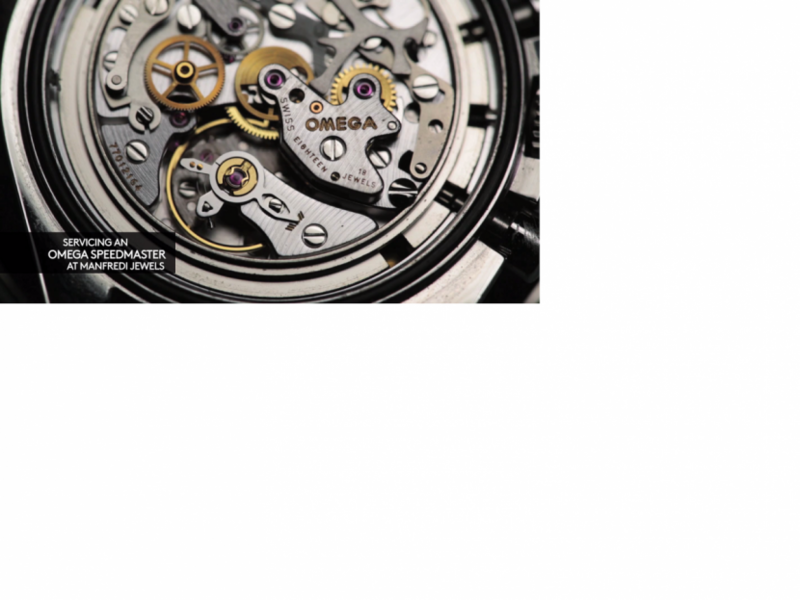 As the title says Hodinkee have been inside The Omega Speedmaster at Manfredi Jewels and getting all the low down on how to service a Speedmaster Cal 1861 which they use in plenty of there watches. 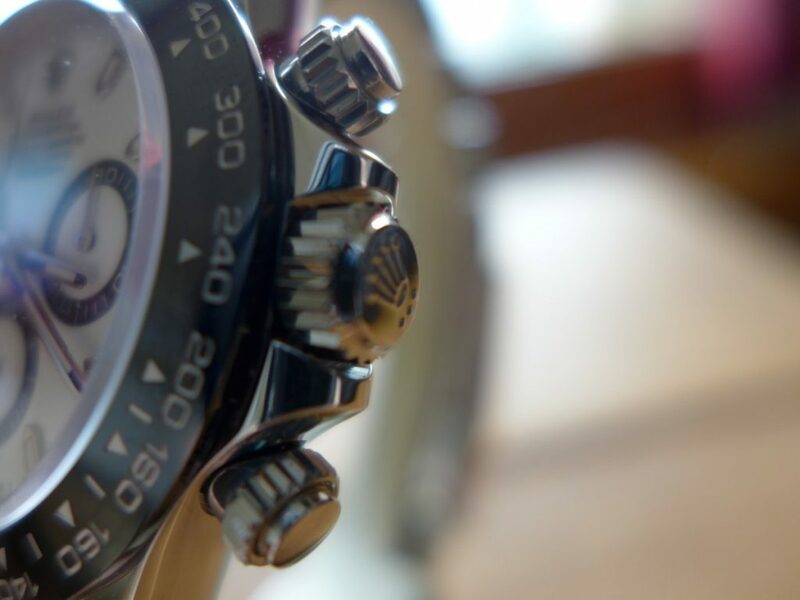 Very articulate job servicing watches need steady hands and good eyes! !